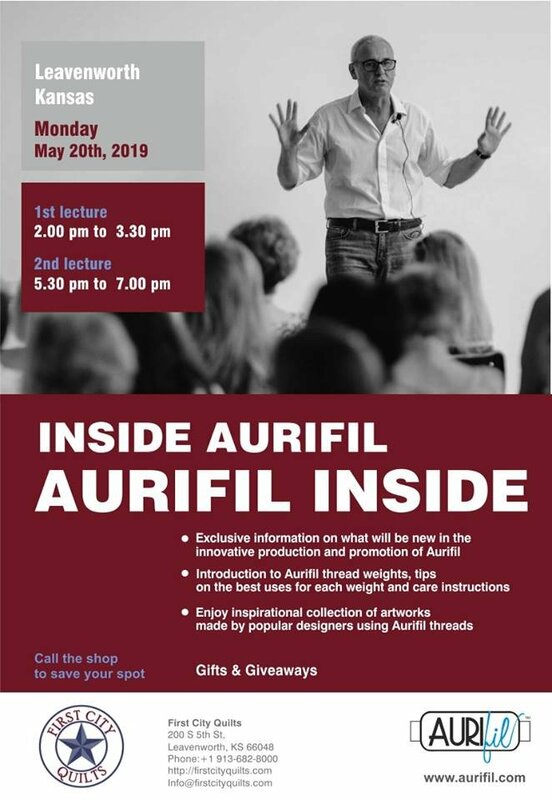 Alex Veronelli will be joining us from Aurifil for a 90 minute lecture to show you why Aurifil thread is far superior to other quilting threads on the market today. He will explain the Aurifil thread weights, tips on the best uses for each weight and care instructions. Enjoy an inspirational collection of artworks made by popular designers using Aurifil threads. We will also have gifts and giveaways at each lecture. No online registration for this event. Multiple ticket purchases not allowed.